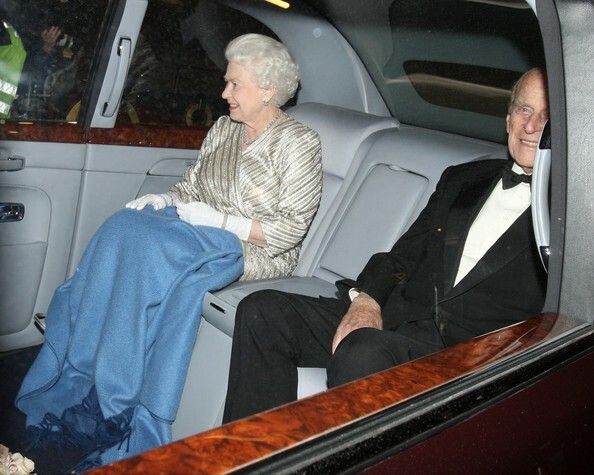 Queen Elizabeth II is all smiles as she is seen leaving the Royal Albert Hall in London. Queen Elizabeth II is all smiles as she is seen leaving the Royal Albert Hall in London. Wallpaper and background images in the Ratu Elizabeth II club tagged: queen elizabeth ii prince philip. This Ratu Elizabeth II photo contains kereta, auto, suv, trak, automobil kereta, and lori.